The new Alfa Romeo Giulia arriving in showrooms and the forthcoming Stelvio, now just months away, are reminders that when Alfa brings out its sketchpad, it knows how to draw. Fortunately, you don’t need to spend north of £30,000 to sprinkle some of the car maker’s magic on your driveway. 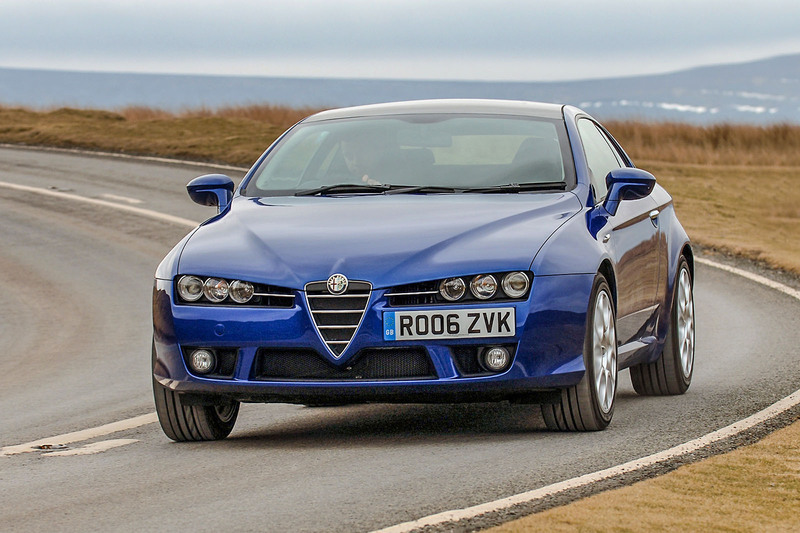 Instead, a Brera coupé, surely one of the best-looking Alfas in recent years, can be yours for just 10% of that: £3000. That’s the price a dealer is asking for his 2007/07, 2.4-litre five-cylinder diesel Brera with 130,000 miles on the clock and full service history. It’s far from the most frugal oil-burner you can buy (around 40mpg) but it’s a warm performer (0-62mph in 8.1sec) that lives for long drives. It’s a tried and trusted Fiat lump that uses a simple timing belt rather than the expensive and unpredictable chains that do service on the Brera’s GM petrol engines. One thing, though: if it’s had a new timing belt, check the water pump was replaced at the same time (see ‘Buyer beware’ below). 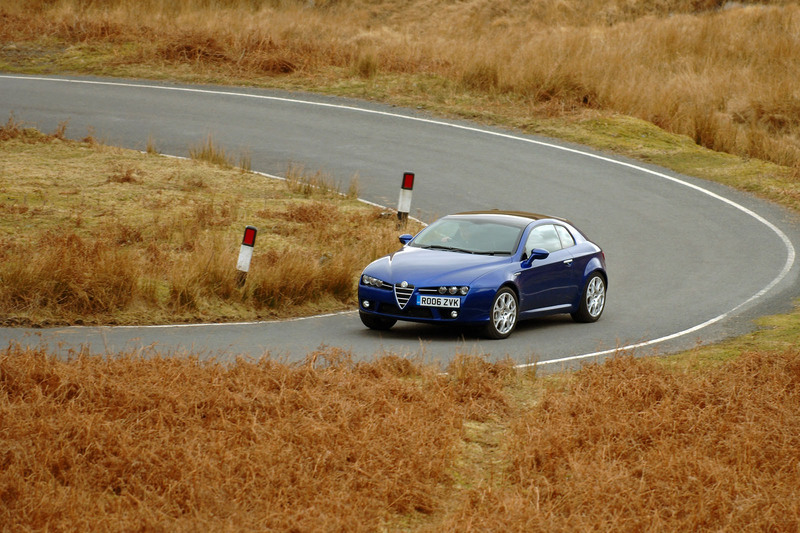 The Brera arrived late in 2005 to whoops of delight at its exterior and interior styling but disappointment over its pace and handling – a criticism that would be addressed with the arrival in 1998 of the lightened, limited-run 2.2 and 3.2 S Prodrive models but never silenced. Launch engines were a choice of 182bhp 2.2 and spine-tingling 256bhp 3.2 V6 petrols (both GM blocks with Alfa heads) or that 2.4 diesel with 200bhp and 295lb ft of torque. The standard gearbox was a six-speed manual, although the 2.2 could be specified with optional Q-tronic auto. The V6 was fourwheel drive with a Torsen diff, the remaining Breras front-wheel drive. A front-drive 3.2 V6 arrived in 2010. A 167bhp 2.0-litre four-pot diesel landed that same year, promising 52mpg and 0-62mph in 8.5sec. It’s worth tracking down, if only for its £145 road tax charge, compared with the 2.4’s £230. But the really interesting engine, and the best ever to find a home under the Brera’s handsome bonnet, is the 197bhp 1750 TBi. This direct-injection, turbocharged petrol unit, capable of 0-62mph in 7.5sec and a handy 34mpg, replaced the V6 in 2010. Throughout, standard equipment included stability control, power mirrors and windows, cruise control and 17in alloy wheels. V6s and 2.4 diesels had leather trim. SV spec brought the highly desirable panoramic glass roof, plus leather and stainless steel inserts to an interior that, to this day, can still provoke gasps of delight. The soughtafter S Prodrive models gained 19in alloys, lighter and stiffer suspension and a tuned exhaust. The limited-run Italia Independent of 2010 also had 19in alloys, plus sat-nav. Mechanics familiar with the Brera describe it as being German in feel, by which they mean solid and well made but dull. We’ll forgive them, if what they really mean is that the Brera’s quality looks are more than skin deep. The 3.2 petrol needs three new timing chains at 100k miles (around £3000) and the 2.2 two of them at 50k (£750). Diesels need a cambelt at 60k and change the water pump at the same time because it can seize, causing the belt to fail. Oil and filter changes are ideally every 12k miles. M32 Vauxhall gearbox can give grief. Bearings fail in the end case. Rear propshaft bearings can fail at about 60k miles (around £2000). Front subframe corrodes where the undertray holds water against it. Front upper wishbones fail at around 70k miles. Listen for knocking. Springs can break. Rear lower hub bush wears, causing premature tyre wear. High-mileage cars can suffer rack and track rod wear. Heavy 2.4-litre diesel cars can get through tyres. Galvanised and no known corrosion areas. Dings and dents show clearly. Extra keys on the ignition key ring can cause localised dashboard damage. As seatbelts reel in, they can damage door panels. Electric windows may need to be reset: wind the window down, hold the switch for 10sec, then wind up, and hold for 10sec. Job done. Alfa provides original and refurbished parts for older cars. The Classic Line scheme is for Alfas over five years old and provides consumables, including filters, belts and brake pads and discs. The Refurbished Parts scheme supplies remanufactured parts. High-mileage 2006-2007 2.4 JTD and 2.2 JTS cars. Mid-mileage 2008-2009 cars, plus the best early cars at dealers. High-spec 2008-2009 JTD and JTS cars, a few 2010s, and 2007 3.2 V6s. Mid-miles 2009-2011 2.2, 2.4 and 3.2. Occasional 2008 2.2 S Prodrive, with 3.2 versions around £1000 more. Loads of mid-mileage, high-spec 2009-2010 2.2s and 3.2s. The best 2008-2009 V6 Prodrive cars with low mileage. Need an Alfa Romeo Brera in your life? Check out some great used examples right here on PistonHeads Classifieds.